The system runs parts through using a continuous overhead chain conveyor. The wash system is a 5 stage wash system using 2 wash cycles, 2 rinse cycles and a final phosphate sealing cycle. The parts are then force air dried in a dry off oven. 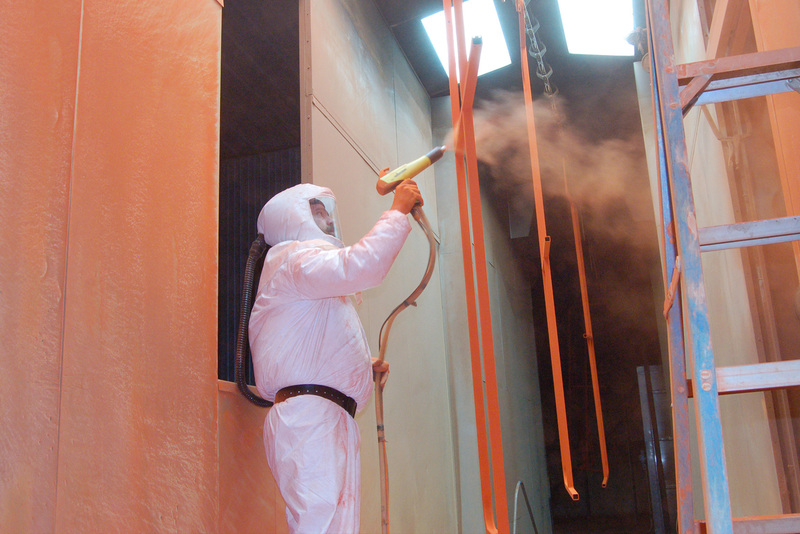 After dry off the parts are coated in an enclosed booth using both automatic and manual spray equipment. Finally, the coating is cured in a gas-heated bake oven.